The complete Ultimate Wealth Building System “Done For You” System, including DVD’s, CD’s, Workbook, and Transcripts… all designed to get you your first deal fast. 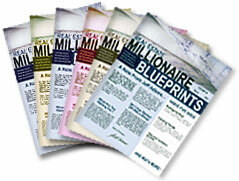 You get six action-packed modules that will fast-track you on the road to success. In fact, the second it hits your door, you’ll be on your way to completing your first deal! 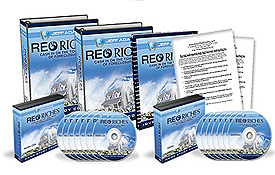 Plus, you get my exclusive “REO Profit Generator” software… sometimes called “Deals Done For You” by my students. 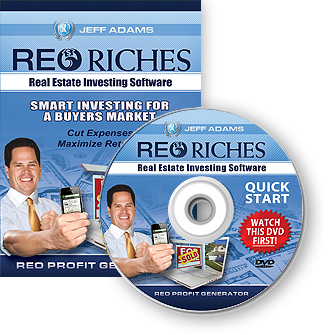 This amazing high-end software, valued at $997.00, but free with the course — is not available anywhere else. It’s like having deals done-for-you! Imagine owning a team of robots that relentlessly search the Internet. 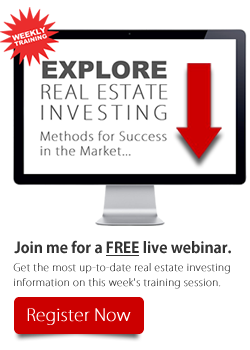 This amazing autopilot software even runs comps for you, so you can quickly evaluate your deals. You’ll know in advance if it’s a hot property, or something that’s just “okay” (that you should pass on to someone else for a fat referral fee). 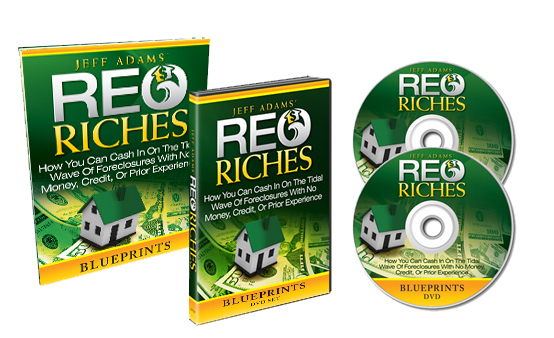 Jeff Adams Reveals A PROVEN New “Real Estate Blueprint” Every Month. To get the strategies I reveal in every issue, you’d have to be plugged into the high-priced platinum mastermind groups that cost over $10K per month.